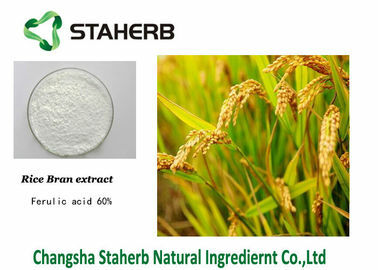 Ferulic acid is a natural chemical that is found in the cell walls of plants. which are found in a wide variety of plant species. The official name for this chemical is 4-hydroxy-3-methoxycinnamic acid, and its molecular formula is C10H10O4. ferulic acid and chlorogenic acid were active—although less so than ellagic acid—against lung carcinogenesis, but were ineffective against skin tumor formation. The vitamin E/ferulic acid compound alphatocopheryl ferulate (alphaTF) has the capacity to absorb UV radiation, thereby maintaining tocopherol in a stable state. Thus, researchers investigated whether alphaTF can act as a depigmenting agent and antioxidant to improve and prevent UVinduced facial hyperpigmentation. In a recent study of the freeradical scavenging abilities of ferulic acid and eugenol that may summarize current thinking on this potent phenolic compound, ferulic acid was deemed an effective antioxidant . The investigators concluded it may be useful in preventing cell damage by free radicals. As an antioxidant, ferulic acid will pair with molecules called free radicals. Left untouched, free radicals in the body look for molecules to bond with, often bonding with molecules in cell walls and damaging the cell in the process. In a 1992 report published in "Free Radical Biology and Medicine" scientists classed ferulic acid as having "potent antioxidant potential." This is partly because it bonds easily with free radicals to create stable phenoxy radicals.